Philadelphia’s Children’s Hospital consistently ranks as one of the best hospitals in the entire country. 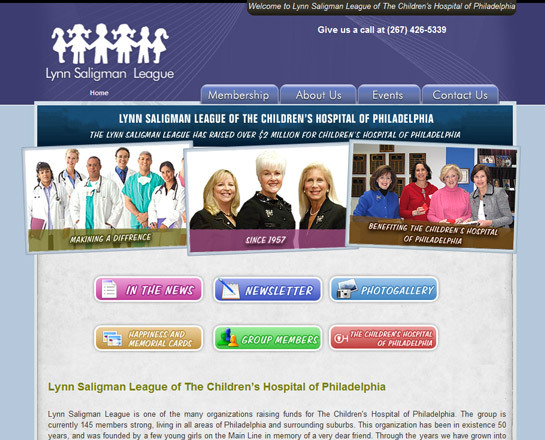 Lynn Saligman League is a charitable foundation founded over 50 years ago. With 150 members Lynn Saligman needed a content managment system to keep their web site up to date.